As investors, time has shown us that the news moves the market. Any time there is good news released associated with a company that’s traded publicly, we can expect to see gains in the stock associated with that company. Adversely, when bad news is released with regard to a publicly traded company, we can expect to see declines in the value of the stock. 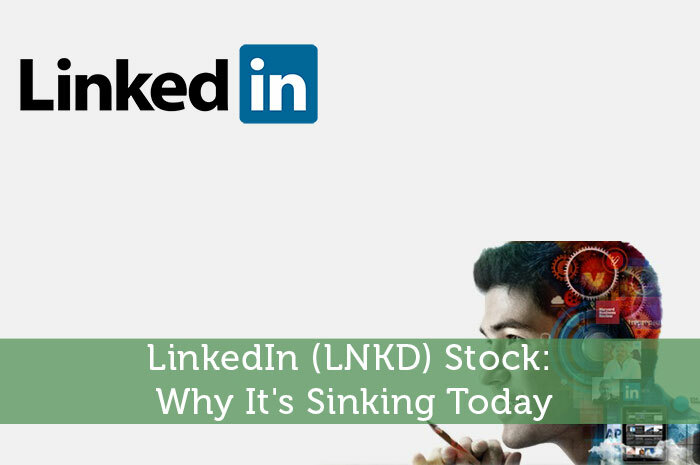 With that said, one of the most trusted analysts writing a bearish note about a stock is likely to bring it down in a big way, and that’s exactly what we’re seeing from LNKD today. Currently (1:00), the stock is trading at $109.69 per share after a loss of $5.82 per share or 5.04% thus far today. While I would love to say that I disagree with Morgan Stanley and that LNKD is likely to climb from here, I simply don’t believe that to be the case. The truth is that I never leave my money in the hands of the analyst, but it seems as though Morgan Stanley hit the nail on the head with this one. LinkedIn is slowly losing popularity. This is happening as a result of a mix between mis-fires on strategy, poor planning, and declines in the need for such a service. If things continue the way they’ve been going for the company, the stock is likely to sink in a big way. Until LNKD comes up with a solid plan for growth and proves to investors that it has the ability to execute on that plan, chances are that we’re likely to see a continuation of downtrends. Where do you think LNKD is headed moving forward and why? Let us know your opinion in the comments below! I can believe Linkedin is losing popularity, but why? Are they losing users to a competitor, or are people just tired of the platform? LinkedIn has had a rough few months. In fact, almost all social media stocks have dropped minus Facebook. Is Facebook the only “social media” company that has proven to make money off mobile? What’s popular yesterday may not be popular tomorrow. Remember myspace? They are way too many social medias platforms out there and they all serve the same purpose, which is to network with people virtually.